On 15 May 1915 the Hunt family of Congresbury welcomed a new daughter into the family. Irene May Hunt was born. Her father was Edward Hunt a quarry man, her mother was Amy Hunt. Several years later on 15 January 1919, Herbert and Annie Bray of Bath added another member to their family. Frederick Claud Bray was born. Fred and Irene first met on Weston seafront and were married at St Andrews Church, Congresbury on 26 June 1941. Fred was a Bombardier in the Royal Artillery and went straight off to war. Irene went to live with her sister in London. During his service he was mentioned in dispatches on 24 August 1944. He was demobbed in 1946. Following the war Fred worked as a garage mechanic at Robbins Garage, Putney in London for two years. During this time his daughter Barbara was born in Lambeth on 17 March 1947. In 1949 the family returned to Somerset, making their home in Weston-super-Mare. Irene’s brother Charles Hunt a paint sprayer then ran Baytree Road Garage with Fred. The garage was also known as Bray’s Garage. 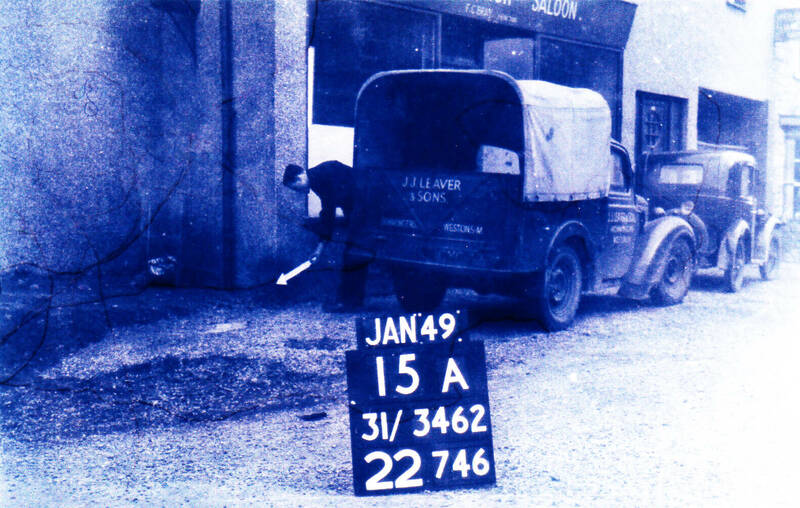 Attached to the garage was a Fish and Chip shop which was run by Edith the wife of Douglas who was Fred’s brother. 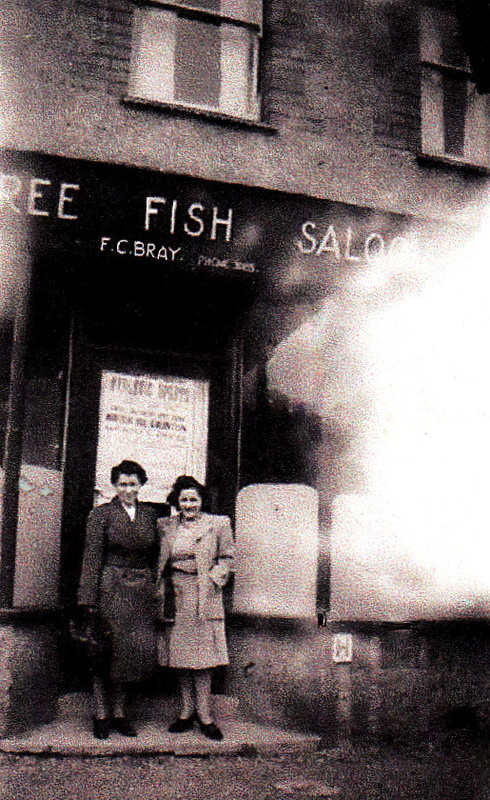 Irene also ran the shop, known as Baytree Fish Saloon, for many years. The shop finally closed in 1962. 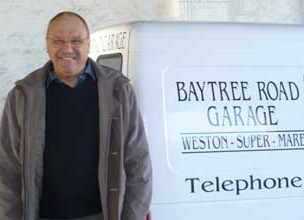 During the 1960s Douglas Bray started working at Baytree Road Garage. Previously he had been at the Alma Garage in Locking Road. In those days the business was founded on servicing heavy goods and commercial vehicles. The main customers being Sage and Down, A E Usher and Wicks Removal. In 1963 Fred’s daughter, Barbara commenced working in the office at the garage. This started a long association with the business which was to last for many years. On the 5 June 1971 Barbara married Julian Fussell at Weston-super-Mare. Julian was also working in the motor trade. Doug retired 1981 followed by Fred who retired January 1984. Barbara then took over the running of the business with a new partner Kenny Jennings. 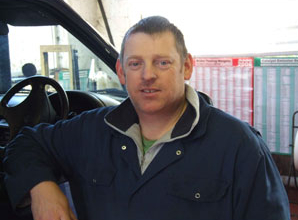 In 1988 a new 16-year-old apprentice started working at the garage. His name was Richard Reynolds. As a result of illness, in 1990, mechanic Kenny Jennings was forced to stop working. At this point Julian started working at Baytree Road Garage. Running the garage in partnership with Barbara. Fred passed away on the 16 December 1996, the garage that he had started was still thriving. In 2000 Barbara, Julian and Richard formed a partnership to run the garage. Ten years after Fred’s death, Irene passed away on 2 April 2006 at the age of 90 years. Julian retired in 2012 but Barbara carried on working until 2016. She worked at the garage for over 50 years. 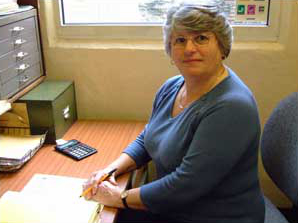 Following Barbara’s retirement, Richard’s wife Catherine started to run the garage in partnership with her husband.